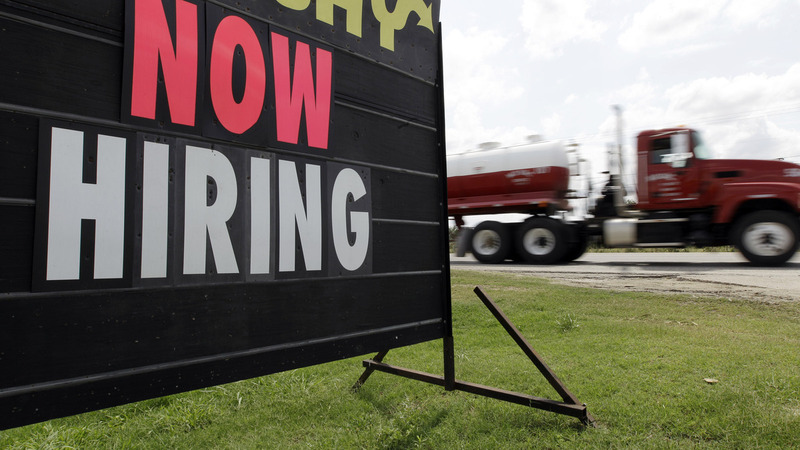 Dip In Weekly Jobless Claims Seen As Sign Of Better Times Ahead : The Two-Way Although the number of applications declined by just 3,000 last week, it appears employers have not been chopping more jobs in recent weeks. Economists say that bodes well for coming months. As the weather warms, will more signs such as this pop up? Economists say the latest data on claims for unemployment benefits may signal that better times are ahead. There were only 3,000 fewer first-time claims filed for jobless benefits last week, but the slight decline is being seen as another sign that the nation's labor market will gain some strength once spring arrives. The Employment and Training Administration said Thursday that 336,000 applications were submitted last week, versus 339,000 the week before. That means the pace of claims is still running about where it's been since late 2011. -- It's "a sign employers [were] holding the line on firings even as cold weather slowed industries from manufacturing to housing," Bloomberg News says. What's more, "a slowdown in dismissals could lay the groundwork for a pickup in hiring, and more jobs could translate to a boost in consumer spending," which in turn could help give an even further lift to employment. -- The dip points to "steadily improving labor market conditions, despite two straight months of weak hiring," writes Reuters. -- The news signals "steady improvement in the job market," adds The Wall Street Journal.